Providing safe, cost-effective and comprehensive water management solutions since 1974. 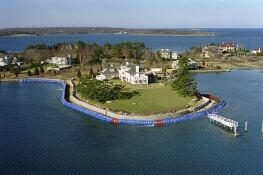 Portadam, a full-service flood protection provider offers you the level of service and support you desire. With our significant history of controlling water we bring real experience and expertise to the table, ensuring you get the right flood protection solution for your needs. First and foremost, we offer expert flood protection knowledge on a consultative basis. We will work hand in hand with your site personnel, taking the time to understand your needs. Having done so we have the ability to provide a detailed floodRISKdatasm report on your location based on proprietary scientific analysis. 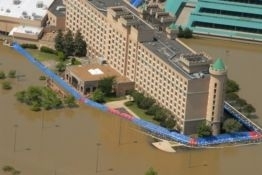 A comprehensive flood protection implementation plan can then be developed by our expert team. We can then design and deliver the best flood protection system to protect your property. Our experts can provide initial and subsequent annual refresher training to your on-site team to ensure proper rapid deployment when required. You have the flexibility to select the best combination of our full-service offerings to meet your exact requirements. Our portfolio of rapidly deployable, modular, engineered systems enables custom configurations. We know that flat and level topography is never the norm when it comes to a campus or large facility. The flexibility engineered into our flood protection systems allows us to utilize components with different heights to accommodate varying surface elevations and obstructions. 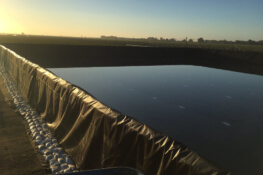 Our site surveys allow us to customize a solution to conform to the specific conditions of your location, giving you the confidence that you will be deploying the best temporary flood protection system possible. For nearly four decades, Portadam has been utilized as an effective temporary cofferdam solution providing contractors a dry work condition while saving both time and money. Traditional cofferdam and water diversion approaches are often specified to allow the work to take place in the dry, but these can be very cumbersome – from a cost, environmental and scheduling perspective. Subsurface conditions, site conditions, site access and logistics often pose significant challenges to identifying the optimal design of a comprehensive engineered solution. Our engineered system has been used in over 5000 water-related projects both nationally and internationally. The Portadam system has no environmental impact due to its freestanding nature. Additionally, no ground penetration is typically required, thereby minimizing subsurface risk (environmental, cost and schedule) usually associated with sheet piling. An added benefit is that dewatering of excavated material is minimized.